In 2008, CSF held a workshop for decision-makers to illustrate to key partners how economic analysis can help conservation initiatives. Many representatives attended from NGOs as well as government and cooperation agencies working in Peru and Bolivia. 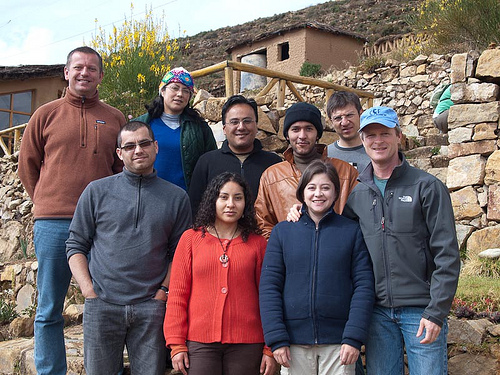 An advanced conservation economics course was then taught to 25 participants from Peru, Bolivia, Ecuador and Colombia. We received over 200 applications for the course and out of those, accepted 25 participants. Subsequently CSF issued a call for applications for research fellowships and selected seven proposals. The purpose of the mentoring program was designed to increase the pool of trained conservation economists in the region. Such skills are in extremely short supply and are increasingly being demanded by conservation organizations. CSF’s program steps into this gap with a competitive process in which successful candidates has been receiving orientation from a mentor, grants and participation in two technical assistance workshops. The fellowships are still underway, but the intellectual and professional growth of the researchers has been profound. They have become adept at research design, are now veterans of collecting field data, and are familiar with statistical methods and software. They have been trained to ask, “what’s the application to policy?” Several have plans to continue in the field of conservation economics over the long-term. As we complete the project this year, CSF will focus on helping the researchers articulate their results in writing, and communicate the findings to key audiences. Still, producing quality products will require intensive effort. To ensure quality, the first drafts will be reviewed by CSF staff and then forwarded to outside peer reviewers. Communication will then increase and the findings will be unique for each study, as each have different audiences. To learn more about the individual fellows, please see the profiles on our CSF Fellows page. This project is being funded by the John D. and Catherine T. MacArthur Foundation.